Dating is one of the most interesting topics that everybody wants to talk about especially the single individuals. The singles want to find their perfect one. However, it is not easy to find your another half in life. You have to go under several tests and challenges before you will be able to find the perfect person for you. 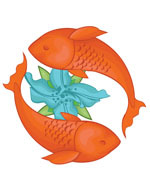 The star signs compatibility can help you find your perfect mate. But, aside from looking into the compatibility chart, there are some tips that you have to follow. The first one is for you to know yourself perfectly. Know and love yourself. You can never love another person with all your heart if you do not love yourself with all your heart. You should be able to determine your strengths and weaknesses, likes and dislikes, and your approaches to life. You can consult the star signs character chart for you to know some of your personal qualities. Look into them one by one and assess if they are applicable to you. For example, your zodiac sign says that you are an out-going person. Is this true? Do this with the other character traits that are listed under your character chart. You also have to learn how to strengthen your weaknesses. Accept them, but do not stop from there. You should do your best all the times to improve your personality. Next, determine the type of person that you are looking for as a partner. Each one of us has an ideal man or woman, and there are character traits that make them ideal. For you to be able to land to the perfect person, you have to clearly determine the quality traits that you are looking for a person. However, you should be aware that there is no person under the star signs is perfect. Each person has his or her own flaws, and weaknesses, and for you to be able to find the right person, you should never set a perfect standard. You have to understand that there is no such as perfect person, but instead, it is who should make them perfect for you. Finally, you have to socialize with the other star signs. By socializing with other people, you will have the chance to know them, and they will also have the chance to know you. If you keep on staying at your room or at your house, the chance of you meeting your perfect match is little. However, it is not also recommended for you to be always in the bar every night. Just attend a proper occasion or social gathering. If you already have found a candidate as your perfect match, take your time and know him or her slowly. Do not rush into things, or you might end up with the wrong person. Take some time to date, be together, and know each other. Each one of you should accept each other’s flaws and weaknesses. If you have some problems, talk to each other and you should make it a practice to solve it before the day ends. When you feel like you already know each other completely and you want to be together for the rest of your lives, then, that is the time that you can say that, that person is your perfect match.